Upholstery cleaning is the general term for cleaning the fabric covers of any cushioned furniture. Upholstery cleaning covers the cleaning of your sofa, couch, dinning chairs, lazy boy, recliner and even mattress cleaning. 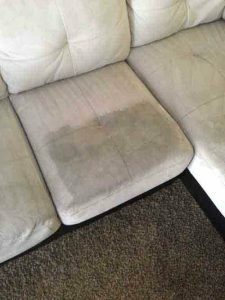 However, the highest demand for upholstery cleaning comes from the usage of your living room’s sofa, love seat, sectional sofa etc.In many cases we cause more ware and tear on our couches than on our carpet. Imagine, you come back home from a tough day at work. Normally, you would find yourself laying down on your sofa eating and drinking something, enjoying a TV show. Therefore, with time our sweat combined with dirt and dust become embedded in the upholstery and turn dark and sticky. Moreover, in some cases, especially with kids, food and drink spills on your couch will cause even deeper stains. Therefore, upholstery cleaning is a service that should be performed periodically. A nice couch for living rooms cost a lot of money. More so, if you are searching for a couch that would last for a while without getting dents and sink in some areas, it really becomes an expensive piece of furniture. However, even the highest quality couch with enough usage will cause sever damage. So, in order to save your money and not having to replace your couch every 5 years, schedule an upholstery cleaning to preserve the freshness and neat look of your couch. The city of Anaheim, CA, is known to be a family oriented city. That means your home is full of kids and full of life. Therefore, more ware and tear occurs in cities with such orientation. So, the best way to maintain a clean home is with periodical cleaning. Our upholstery cleaning Anaheim is second to non. Dr. 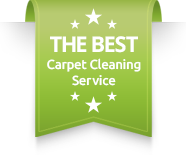 Carpet Anaheim is known to be the leading upholstery cleaning company in Orange County for many years. In addition, we offer same day upholstery cleaning in Anaheim for any of your immediate needs.Please contact Dr. Carpet Anaheim for more information about our upholstery cleaning Anaheim service.